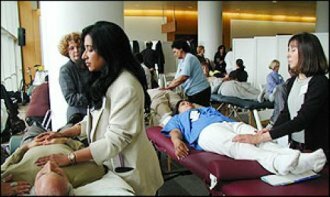 "After decades of often disputed validity, the effectiveness of Reiki, a holistic energy treatment is gaining new respect within the medical community. Not only are highly reputable medical facilities throughout the U.S. offering patients alternative healing programs such as Reiki, those facilities are analyzing the benefits of their programs and are submitting them for review and compilation. The results are nothing short of remarkable."